Pennsylvania Budget Goes To Wolf — The Pennsylvania Senate, today, June 22, passed a $32.7 billion general fund budget sending it to Gov. Wolf for his expected signature. The vote was 47-2. The State House approved it Wednesday 188-10. There are no tax or fee increases in the budget and the spending increase of 1.7 percent is below the rate of inflation at 2.1 percent, said State Rep. Alex Charlton (R-165). “I voted in favor of this, as it invests at a record-setting level in education; including basic education, special education, pre-K, higher education, EITC programs, and career and technical education programs,” he said. The budget allocates $100 million for education investments, such as a $25 million boost to early childhood education funding and an additional $15 million for special education funding. An additional $30 million was made to prepare students and workers for in-demand jobs. The budget also includes funds to help protect communities by training more state police troopers, caring for those with intellectual disabilities and supplying services for families affected by the opioid crisis, Charlton said. It should be noted that more the 60 percent of state spending is done through “shadow budgets” that are not part of the General Fund. Pennsylvania Already Spends More Than Most States, Gov. Last week, Governor Wolf presented his budget proposal to the General Assembly. He primarily recycled talking points from his first three budgets and added an Eagles hat to demonstrate how “in touch” he is with people. The three key points from Gov. Wolf’s proposals are more spending on education, more taxes on natural gas, and a higher minimum wage. None of these ideas are new, nor are any of them sound ideas. On the issue of education spending, Pennsylvania currently spends more on education than 41 other states. More money is not going to help students in failing schools. A quick look at the 50 worst performing school districts illustrates this point. Many of the schools on the list spend more per student than the cost of tuition at a college or trade school. The worst performing school district, Wilkinsburg Borough, spends over $30,000 per pupil. However, only fifteen percent of their students are proficient in math, and twenty-six percent are proficient in reading. On top of poor performance in math and reading, less than half of Wilkinsburg’s students graduate. More money is not the solution for our education system’s failings, but considering the hundreds of thousands of dollars Governor Wolf stands to receive from the state teachers’ union in his upcoming election, we shouldn’t be surprised that he wants more money instead of increased accountability for schools. In his budget address, Wolf repeated the lie that natural gas companies aren’t paying their “fair share” and he advocated for raising their taxes. He stated that Pennsylvania was the only state not collecting an extraction tax, but the Governor failed to mention that we are the only state to levy an impact fee. In 2017, the natural gas companies paid over $200 million into Pennsylvania’s coffers due to our impact fee. Natural gas companies are also subject to the Commonwealth’s corporate net income tax, which happens to be the second highest in the country. On top of that, the Treasury gets a cut of any royalties paid to individuals by the gas companies. At what point will Governor Wolf be satisfied that natural gas companies are paying their fair share? The final item trotted out by the Governor was an increase in the minimum wage. If Governor Wolf wants to make it harder for lower-skilled workers to find employment, setting an artificially high wage floor will undoubtedly make that happen. 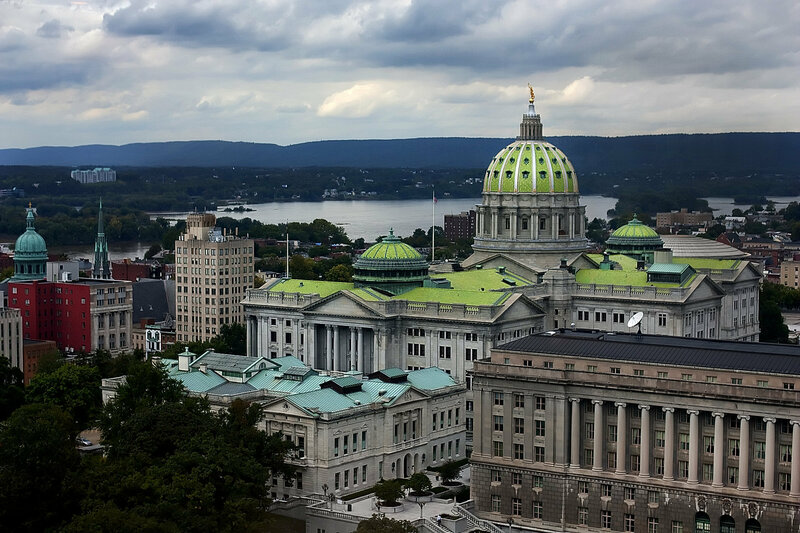 Minimum wage increases enacted by other states and localities have resulted in the loss of hundreds of thousands of jobs and Pennsylvania would not be exempt from that trend. Instead of declaring that employers should pay a certain amount and be surprised that people lose their jobs, Governor Wolf should take a lesson from President Trump and make it less expensive for business. Thanks to tax changes at the federal level, at least thirty-three major corporations have announced higher wages, bonuses, and increased employee benefits. Keep in mind those are just major corporations. How many small and medium-sized businesses can now afford to reinvest in their employees or expand their businesses? If Governor Wolf wants to help Pennsylvania’s workers, he should be focused on the regulations that drive up costs in the Commonwealth and the tax policies that make us uncompetitive. There is no doubt that Pennsylvanians face struggles, but Governor Wolf’s solutions represent a continuation of the same policies that have failed for the last fifty years. Higher taxes and more spending has predictably failed to improve the Commonwealth. It’s unfortunate that the Governor intends to keep going down the same road. Author BillLawrencePosted on February 14, 2018 February 14, 2018 Categories Leo Knepper, Pa. Budget 20182 Comments on Pennsylvania Already Spends More Than Most States, Gov. Not much has changed on the budget since last week. On the plus side, Governor Wolf changed his position on using fund transfers to balance the budget. He went from saying all of the money proposed in the fund transfers (see here) was promised to other projects and there was no way it could be used to balance the budget; his current position is that $500 million is available to use to balance the budget. On the downside, Republican leadership in both chambers of the General Assembly seem dead-set on making Pennsylvania less competitive by raising taxes on targeted industries. The first target, which now seems to be off the table, was commercial warehousing. According our sources, Rep. Dave Reed (R-Indiana County) was advocated for making lease payments on warehouse space subject to the sales tax. The fact that this tax would have made Pennsylvania non-competitive and put thousands of people out of work seems to have eliminated this proposal from consideration. The latest proposal would be to nearly double the Commonwealth’s hotel tax rate. Again, one of the chief advocates for the higher tax rate is Rep. Dave Reed. As we have repeatedly noted, a better long-term solution would be to actually cut spending rather robbing from Peter to pay Paul. We’ll let you know about any changes as they develop. Politicians have long used Orwellian double-speak to hide their true intentions. The latest iteration of this trend in Pennsylvania is the Governor’s, Senate’s and House Democrat’s insistence on including “recurring revenue” in any budget agreement. Recurring revenue sounds much more pleasant than what they’re really talking about: tax increases. Roughly three months ago Republican leadership in the Senate, ceded their super-majority when fourteen Republicans voted with twelve Democrats to pass a Fiscal Code that balanced the budget on the backs of taxpayers. The Senate’s plan, supported by Governor Wolf, would raise taxes on heating bills, cell phone bills, and online purchases. As our friends at the Commonwealth Foundation noted in a recent blog post, the General Assembly has raised taxes four times in the last eight years. These previous tax hikes haven’t solved Pennsylvania’s financial problems. Instead, it has been like a death from a thousand cuts for taxpayers. Departing from the usual routine of raising taxes, House Republicans offered alternatives to the status quo. The first plan we told you about would have reduced overhead expenses and saved tax payers $370 million. A second plan, which ultimately passed the House would have used surplus, off-budget funds to fill the gap. Unfortunately, only seven Senators sided with taxpayers and voted in favor of using funds already in state coffers. The next step in the budget process is House and Senate leadership will establish a conference committee and try to work out their differences. The deals hashed out by conference committees rarely work out in taxpayer’s favor because it is a closed-door process. The public, and most lawmakers, usually do not have time to review the finished product. Remember the 2005 middle-of-the night pay raise? That legislation came out of a conference committee too. Please, take a few moments and email the General Assembly. Let them know that you will be watching their actions closely and that they need to cut spending and use money already collected by the Treasury in order to balance the budget. Lawmakers returned to Sept. 11 to finish work on a state budget which was due at the end of June. 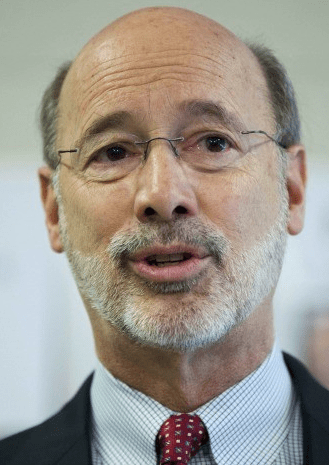 Late budgets have become a hallmark of the Tom Wolf Administration as the governor habitually proposes spending that vastly exceeds available projected revenue. In the weeks since the Senate vote, conservative Republicans in the state House have been working on an alternative that would fund the budget without raising taxes and borrowing from future revenue sources. They say they have found enough dollars squirreled away in difference agency accounts to accomplish that goal. State Constitution – A dusty old document used for decoration on state capitol coffee tables, but which is never actually referred to when making laws. Budget Deadline – A relic of bygone times when the governor and the legislature actually fulfilled their duties by enacting a balanced state budget by the date specified in the state constitution. Budget – A document that includes a plan for spending and for the revenue to pay for that spending. This term has been redefined as a spending plan that we’ll somehow figure out how to pay for down the road. Structural Deficit – This refers to the difference between what the state actually has to spend and what the governor and many lawmakers want to spend. It is viewed as something to be funded with higher taxes, rather than being cut to fit available revenue. Projected Revenue – The amount of money reasonably expected to be collected from existing taxes and tax rates. This number will fall far short of desired spending and therefore is often adjusted upward to meet that target. Severance Tax – This is a proposed fourth layer of taxation on gas produced in Pennsylvania’s Marcellus shale region. Since the impact tax was labeled a fee, some lawmakers perpetrate the myth of an industry getting away tax free. Tobacco Settlement Fund – An annual revenue source generated by proceeds of a lawsuit against big tobacco companies that now is seen as a way to borrow from the future to plug the current year’s budget deficit. Borrowing from the State Treasury – A process whereby we borrow our own money and charge ourselves interest in an effort to make it look like the state is facing fiscal Armageddon. Gambling Expansion – Refers to various plans to allow for on-line gaming, the placement of video gaming terminals in bars and restaurants and other expected new sources of gambling revenue. Projected funds from these non-existent sources are often included in the state budget. Senate Republican Leadership – Senators who abandon their party’s principles upon acquiring fancy titles. Veto-Proof Majority – Refers to having two-thirds of the seats in a chamber, of which a substantial number will side with the minority on important issues. House Republicans – Lawmakers blamed for the budget impasse because they are opposed to raising taxes on working families, senior citizens and small businesses. Reverse Appropriation – This is a new term referring to efforts to cut the approved spending plan to fit available projected revenue. It is not something ever likely to be used. Taxpayers – The only group of people in Penn’s Woods who don’t have a high priced lobbyist working on their behalf in Harrisburg. They are also viewed as an endless source of revenue by spending interests. Mr. Henry is chairman and CEO of the Lincoln Institute and host of the weekly Lincoln Radio Journal. Shadow Budget Can Be Used To Bring Balance In Pa. The Governor, the media, and Senate Republican leaders have been insisting that the House Republicans were being negligent in not passing the tax hike. CAP and other organizations have insisted that there were other ways of balancing the budget. As we’ve noted it is possible to cut earmarks and overhead. We can add another option to that list as well: tapping the “Shadow Budget“. 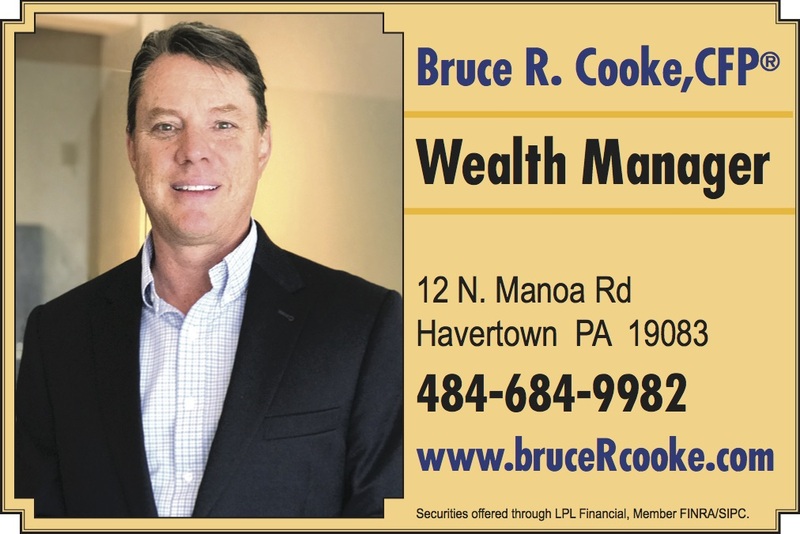 Author BillLawrencePosted on September 7, 2017 Categories Leo Knepper, Pa Budget 2017Leave a comment on Shadow Budget Can Be Used To Bring Balance In Pa.
Often times the news media, Gov. Wolf, and the allies of Big Government in both parties present Pennsylvania’s budget choices as raising taxes or shutting down “vital services.” Two weeks ago, we presented several corporate welfare programs and earmarks that were driving up spending. This week we wanted to let you know about legislation that would save taxpayers $370 million by targeting government overhead. Most people are unaware that overhead, known as General Government Operations in budget parlance, will cost taxpayers roughly $3.7 billion this year. In the private sector, businesses have focused on cutting overhead for years if not decades. Our state government has not been as vigilant in cutting costs as it would have you believe. Most of the cost savings programs that have been implemented merely nibble around the edges. New legislation introduced by Rep. Frank Ryan, a CAP member, would take a bigger bite out of the problem. HB 1691 would cut the overhead budget line items by 10 percent across the board. Opponents of the measure would present this an unreasonable cut. However, a ten percent cut would still give the Executive Branch, Attorney General’s office, and legislature over $3.4 billion to spend on overhead for the year; that is hardly a paltry sum. Before Gov. Wolf and the General Assembly try to raise taxes, they should first look at ways to reduce costs. Please, take a moment to let your Representative know that there are options other than higher taxes to get the Commonwealth’s fiscal house in order. Pennsylvania Republicans Twist Thumbscrews On Taxpayers — The Republican-controlled Pennsylvania State Senate voted today to pass a tax increase that will see heating, air conditioning and use of communications become more expensive. What good are these people? What does party Chairman Val DiGirogio say? Hey did you see where Pennsylvan taxpayers are on the hook for a $477,591 public pension? On Monday, (July 10) Gov. Wolf allowed the state budget to become law without his signature despite the fact that the budget didn’t balance. The budget passed by the House and Senate spends more than the Treasury is likely to collect. The House and Senate shouldn’t have passed the budget without a clear plan to fund the expenditures. The Governor should have either vetoed or line-item vetoed the budget. As it stands, credit rating agencies may downgrade the Commonwealth again. A downgrade won’t solve our problems, and the two “solutions” under consideration won’t be good for taxpayers. On one side: a Democrat governor who wants to raise taxes and leave a legacy of suffocating costs. On the other side: a Republican House and Senate looking to borrow their way out of trouble and leave a legacy of crushing debt. The solution nobody in Harrisburg wants to discuss? Spending reduction, which would leave a legacy of budget corrections that would eventually pay off for taxpayers. There are ways that the General Assembly could cut costs. First, they could dissolve the Race Horse Development Fund. The Fund subsidizes “purses” for horse racing. In 2015, some of that money went to a billionaire from the United Arab Emirates. Considering Pennsylvania’s financial needs, this doesn’t sound like the best use of resources. A second option, would be to reform the welfare code to add work requirements. In 2014, Maine added a work requirement for able-bodied childless adults. In two years the number of able-bodied childless adults receiving food stamps dropped by over 90 percent. This change not only saved taxpayers money, but it also added people to the tax rolls. There are a number of other ways that the General Assembly could put taxpayers first. It’s up to “leadership” in the General Assembly to step up to plate to make that happen. And, based on their track record that doesn’t seem likely.